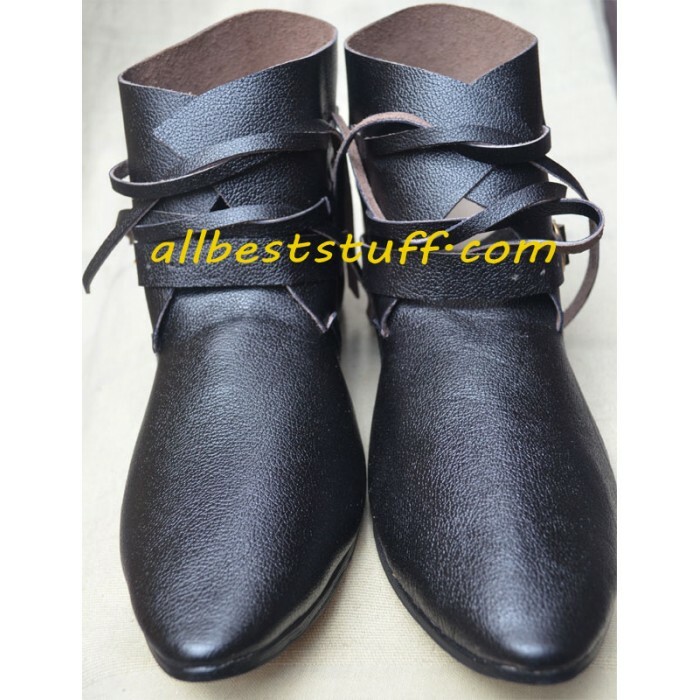 This a very stylish genuine leather hand made shoe available in three choice of colors. 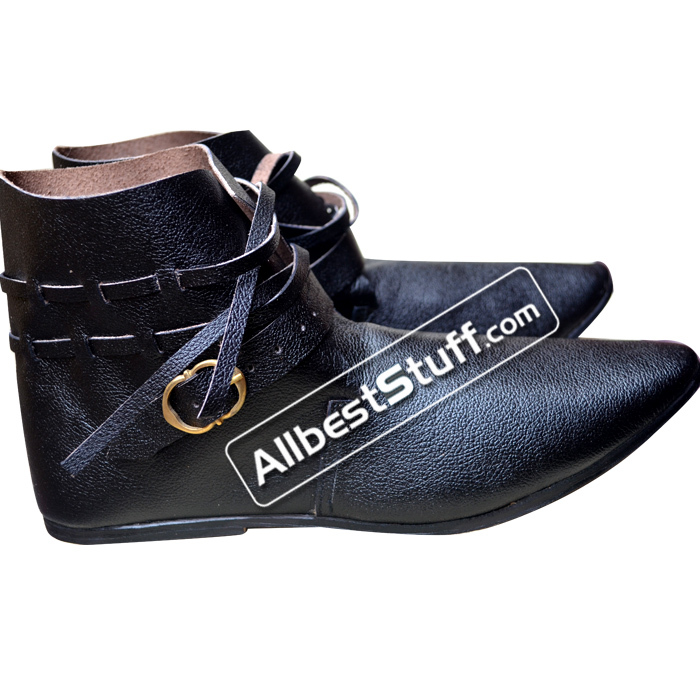 Single Brass Buckle and original leather thread across the ankle to secure the boot. 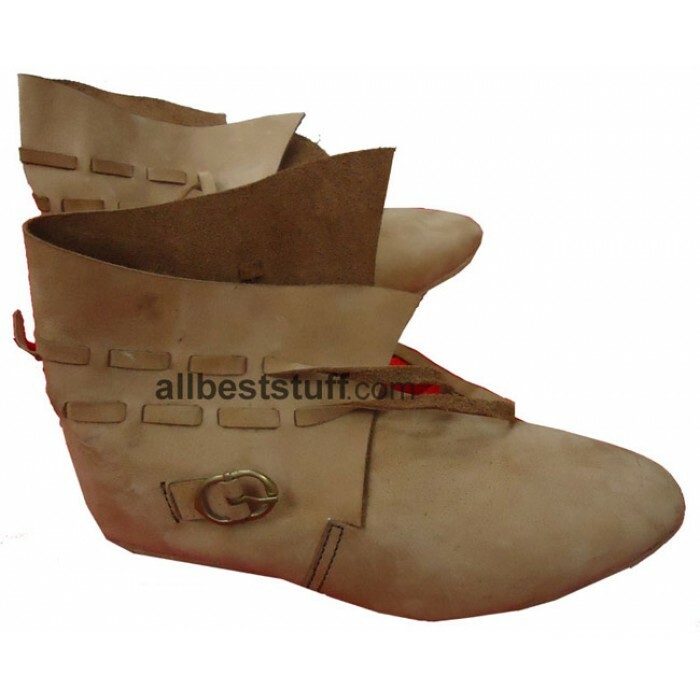 Leather Sole perfect wear for your role player event. We are offering various size under different price slab. 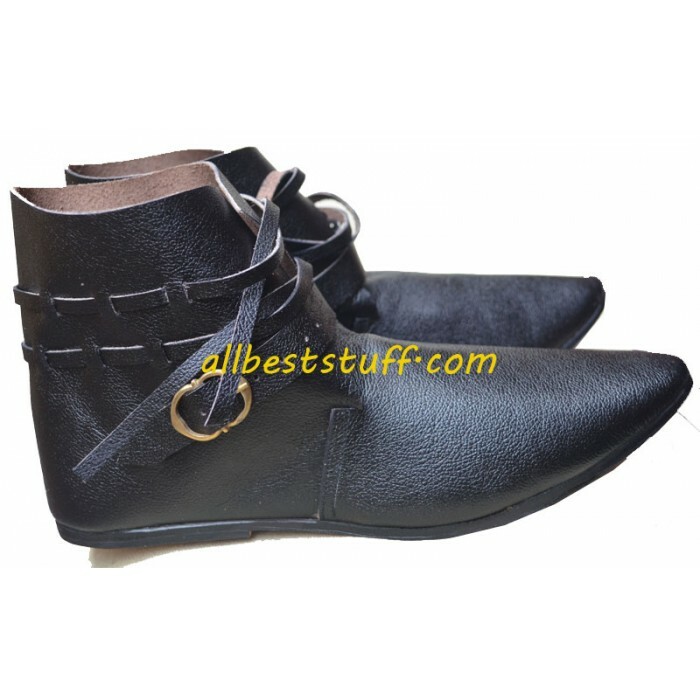 Please note the size mentioned in the listing is for United Kingdom, United States & European. A shoe size converter matrix below for ready reference please convert it as per your geographical location. You may refer below chart for quick comparison. Please check shipping price for this item, options is available under your cart.